During my winter break, I took a trip to Japan and visited Kamakura, an old city next to Tokyo where tourists from all around the world will pay a visit to as soon as they arrive at Tokyo. The city is famous for its Big Buddha and various Buddhist temples. 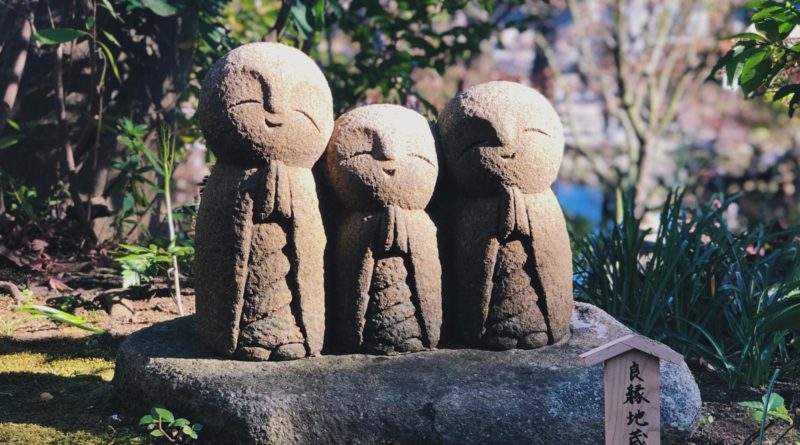 Although it is now full of tourists, Kamakura has not developed any widespread tourism business; it instead embraces all the visitors and simply exists as itself. 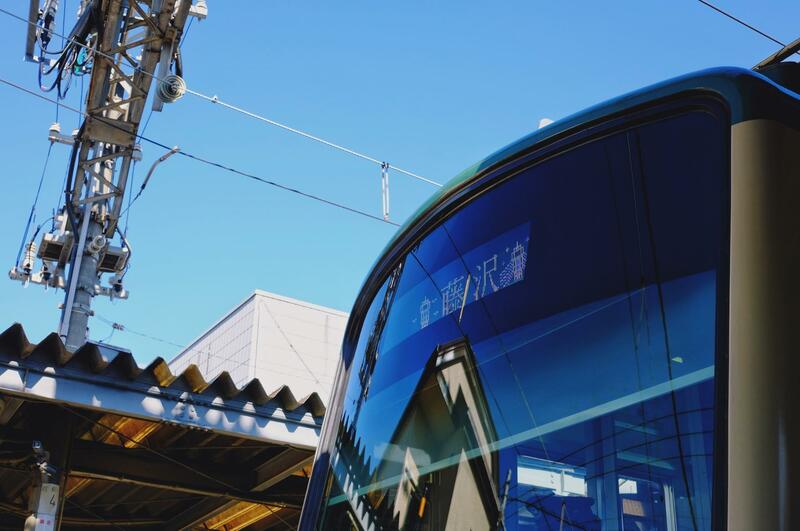 As an ancient city, Kamakura has only one train line, and it connects various famous tourist sites. Every day, the old train carries countless visitors to places across the town without fail. I took this photo when I was lining up at the platform, and although the crowds were a little overwhelming, the people were still orderly and polite, waiting patiently for the doors to open. It was a warm winter day, when everyone was comfortable enough for a visit in this old and beautiful city. The train tracks spread all across Kamakura, intersecting and connecting with the pedestrian walks. Every time the train passes by, a track conductor organizes pedestrians by asking them to wait by the side of the road, so that the train can drive through. 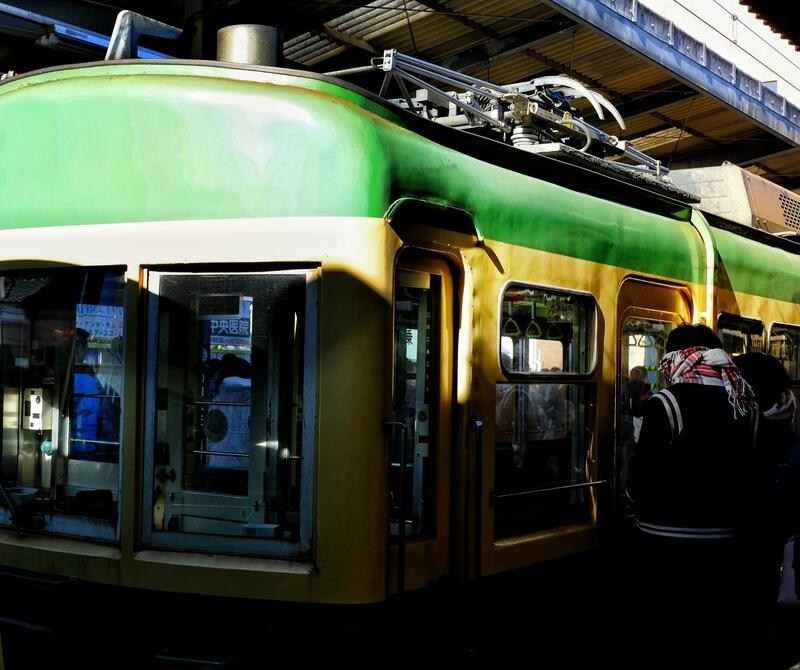 Upon hearing the ringing sound of the train, people automatically slow down and wait patiently. I found this reaction interesting, and have witnessed it multiple times during trips to Japan. What is particularly unique about Japan is this development of disciplined social order. Kamakura is famous for its Buddhas, large and small. The most renowned site is the Big Buddha, which many people list as a priority in their visits. 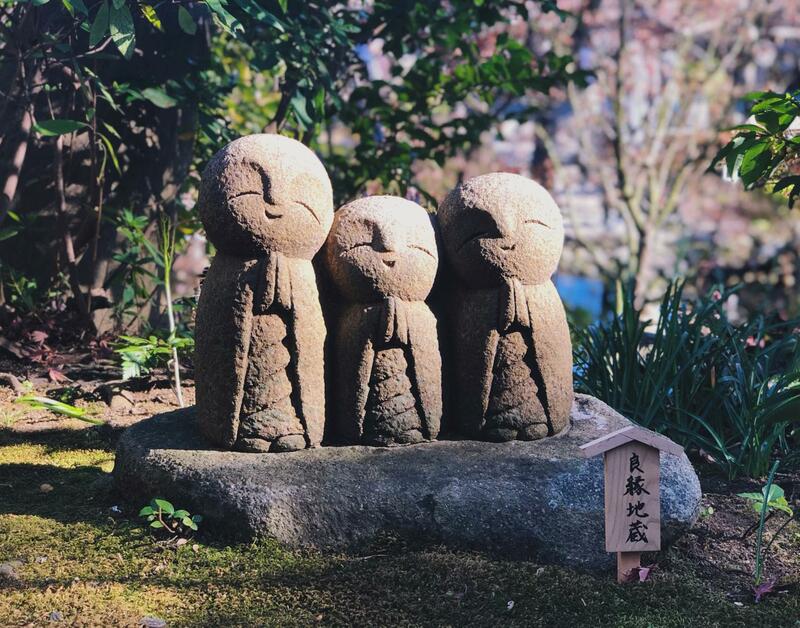 While the Big Buddha spreads Kamakura’s name across the world, the city also consists of various smaller, cute Buddhas that are randomly placed at the tourist sites. Although the famous Big Buddha does express a sense of solemness and sacredness, the little Buddhas light up the whole mood of the space and greatly attract people with their adorable designs. The combination of the two styles enhances the impression that Kamakura leaves on world visitors. Convenience stores are another highlight of Kamakura and Japanese cities in general. These stores normally sell local snacks and all kinds of food, and stand by the neat streets of the town while welcoming all passers-by. 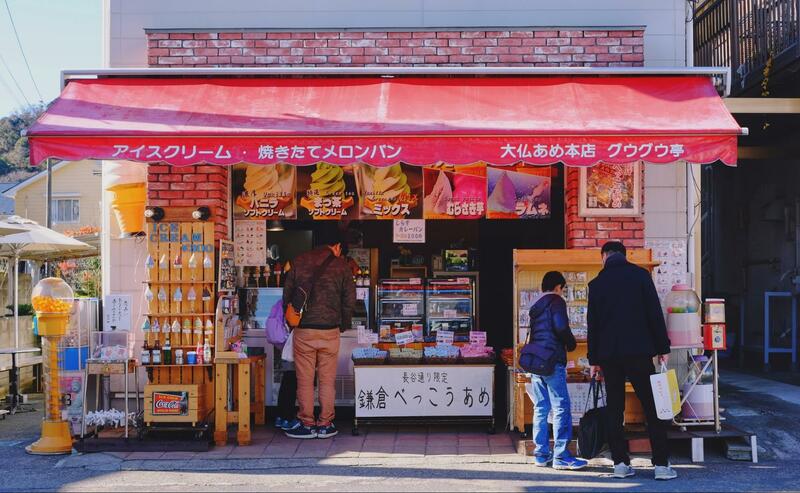 Throughout my multiple trips to Japan, I have taken many photos of these convenience stores, probably because they form a uniquely peaceful vibe when combined with the tidy street settings.